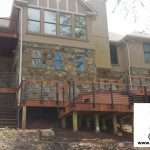 This homeowner installed a cable railing system on a beautiful, stone-infused home. 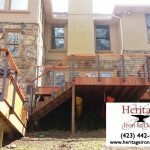 The stainless steel cable railing, wooden handrail, and side-mount posts give the entire home a more contemporary appearance. 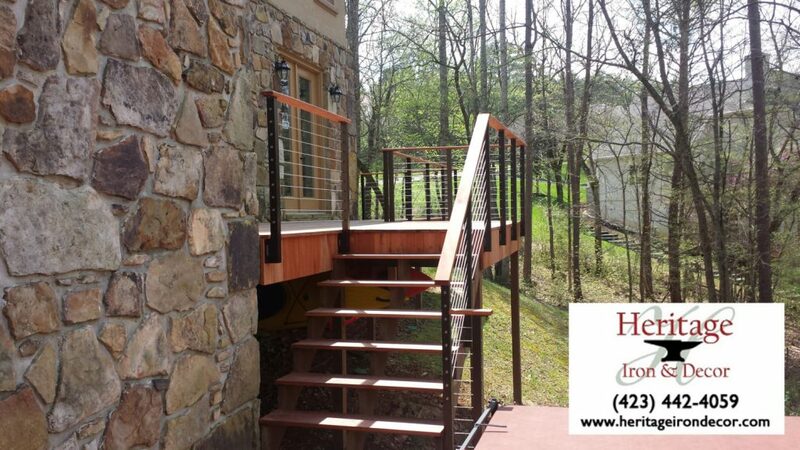 In addition, the side mount posts give the customer extra deck space to enjoy. 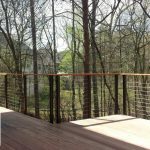 Furthermore, when you install a cable railing system, you can be sure that you’re getting a top-quality product that will only enhance the look and feel of your home. 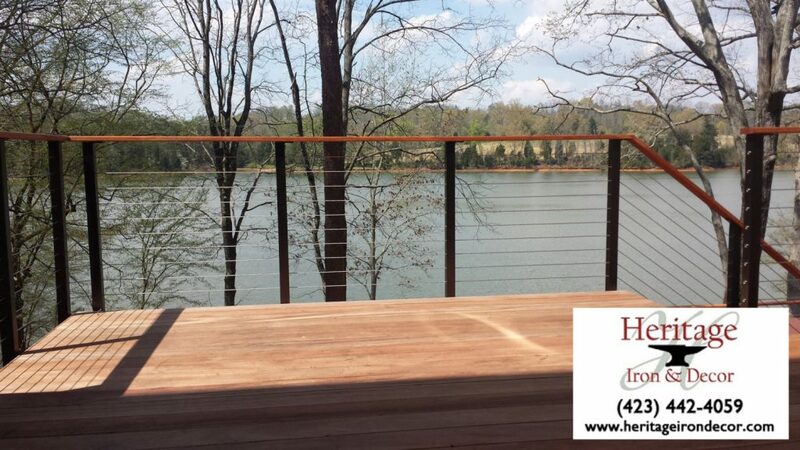 The posts will give the railing a modern appearance while the hidden fasteners and cable help preserve your view. 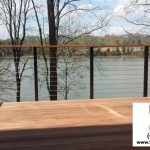 Start a quote today and see what cable railing can add to your product. 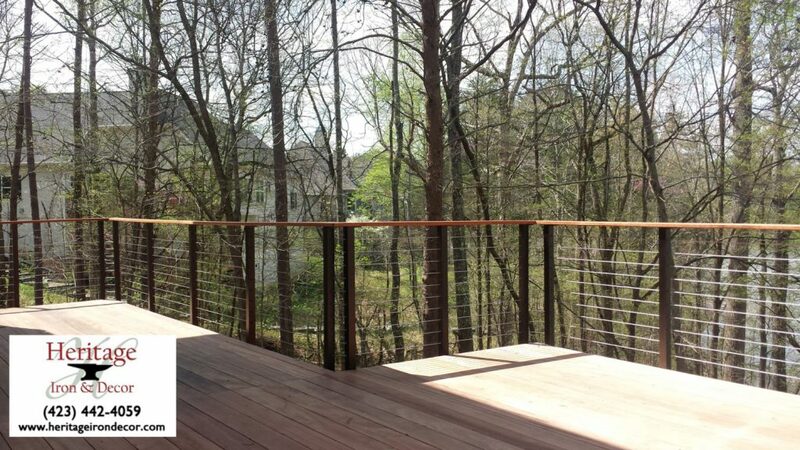 We can’t wait to see how cable railing can elevate the look of your deck or stair railing project. 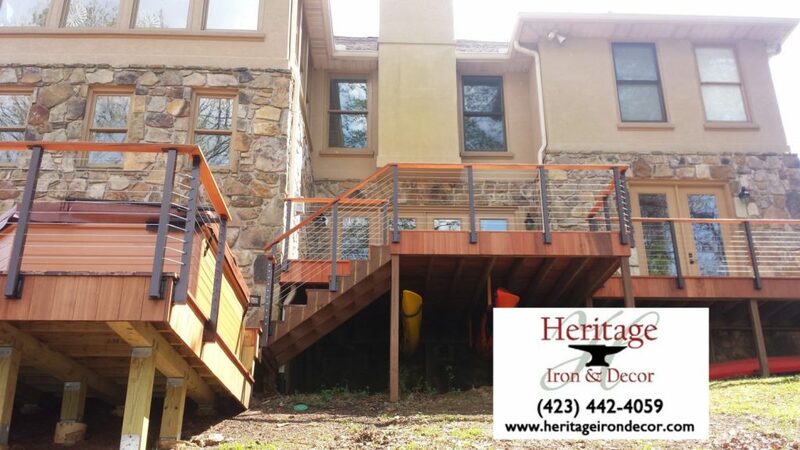 Posts manufactured and installed by Heritage Iron & Decor in Madisonville, Tennessee. 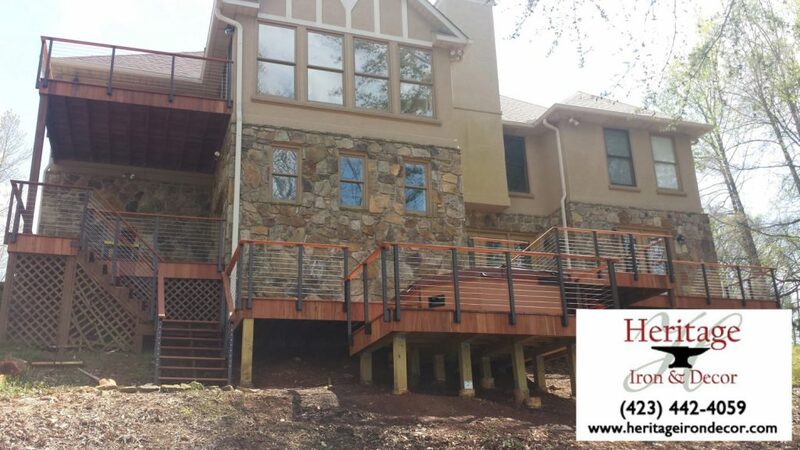 They installed this project using StairSupplies Cable Railing fittings and cable.